Last weekend, I visited the Metropolitan Museum of Art (a.k.a. "The Met") with my family. We were on our way out of the museum when my brother said, "Look! There's Lauryn Hill." I turned around to find this beautiful bronze bust of a Black woman with short locs. 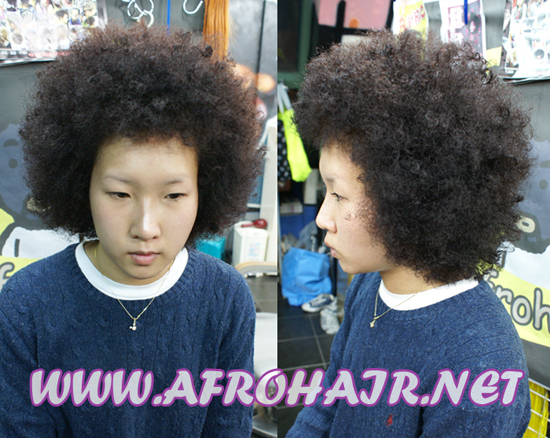 She was not Lauryn Hill, but she looked a lot like her. 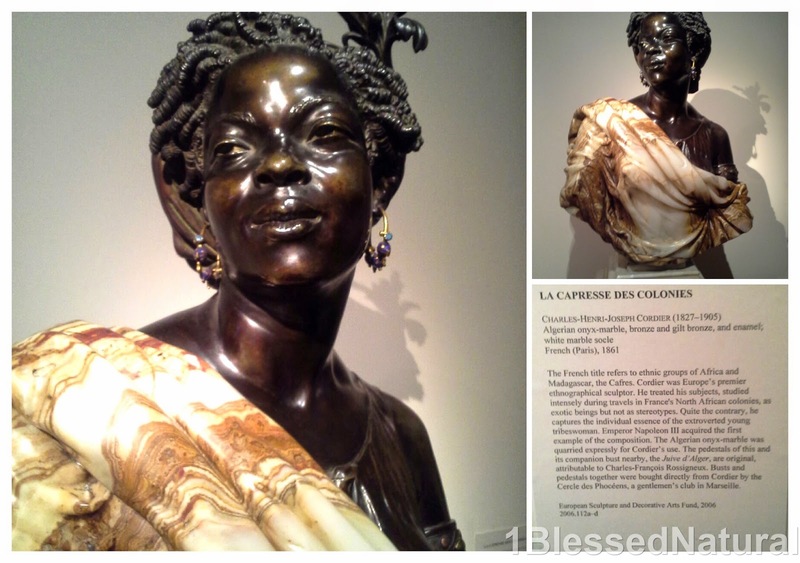 The tribal woman bust was called "La Capresse Des Colonies" and was sculpted by artist Charles-Henri- Joseph Cordier (1927-1905). The details of the woman's features were very elaborate and life-like. The woman wore a facial expression of being tired but still smiling through it. She wore a black flower in the back of her hair. 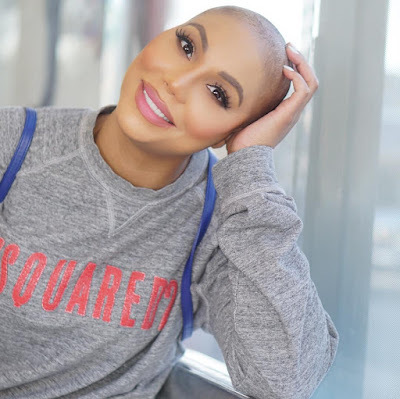 She wore a hat or scarf on the back part of her hair, leaving the locs in the front exposed. They were parted on the side and left to hang. The details on them gave them a spherical look, and they looked like they could have also been finger coils. The woman with the dark bronze skin wore a cream and bronze mixed, off-the-shoulder shawl that was made of ivory. The details on the shawl gave it the appearance of being a heavy sheet-like material. 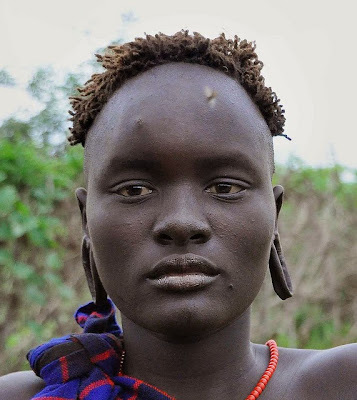 In addition, the woman wore gold hoop earrings with purple and blue beads hanging from them. She also wore a dark bronze arm cuff and tank. If you visit the Met, please be sure to visit this sculpture. You may find yourself staring for a long time lol. Beautiful work! What do you think of the sculpture? 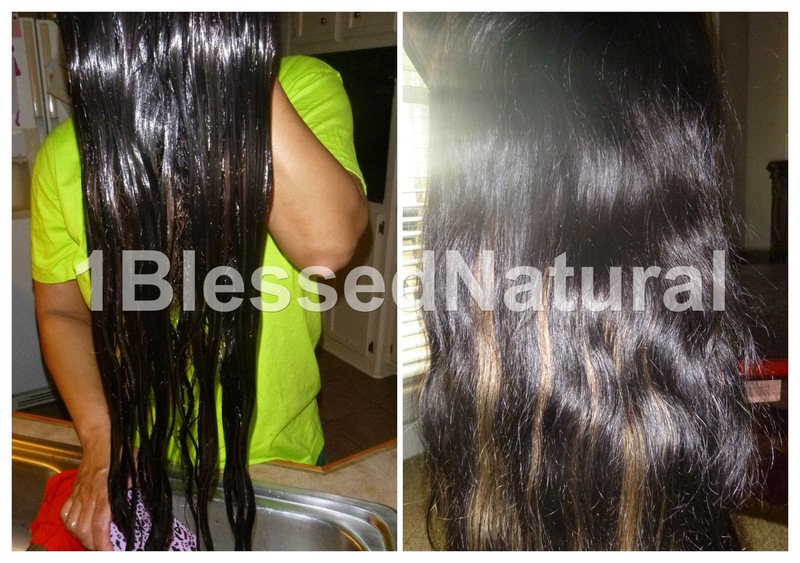 Don't forget to ENTER to WIN in the 1BlessedNatural Back to School Giveaway! Natural Hair, Album Art, and World Events (Part1): Erykah Badu's "Soldier"